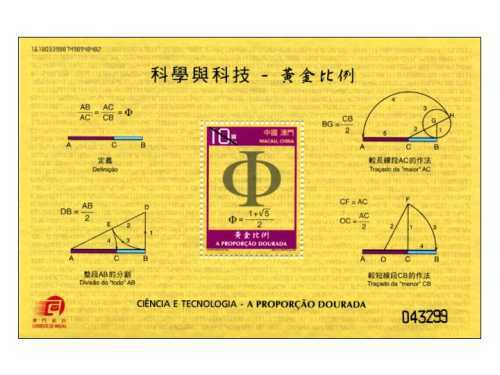 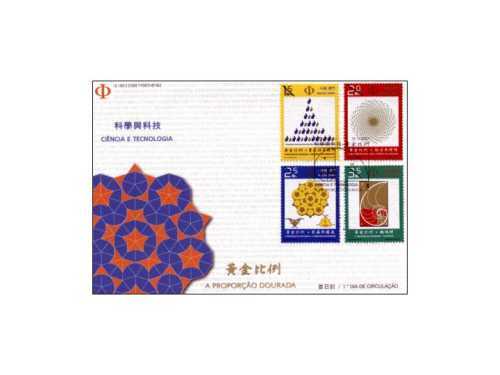 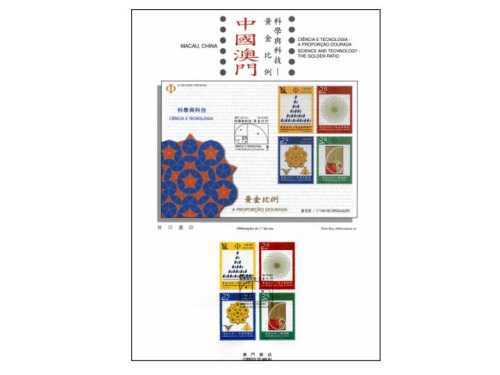 Macao Post will issue the philatelic products of stamp issue “Science and Technology – The Golden Ratio” on 26th October, 2007. 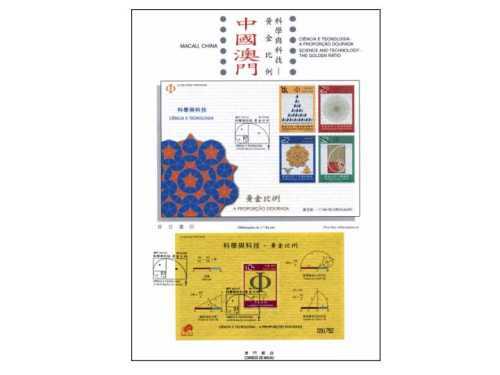 This is the fifth series of stamp themed “Science and Technology”, the previous series were “Composition and Construction of DNA” in 2001, “Standard Model of Particle Physics” in 2002, “Cosmology XXI” in 2004 and “Chaos and Fractals” in 2005. 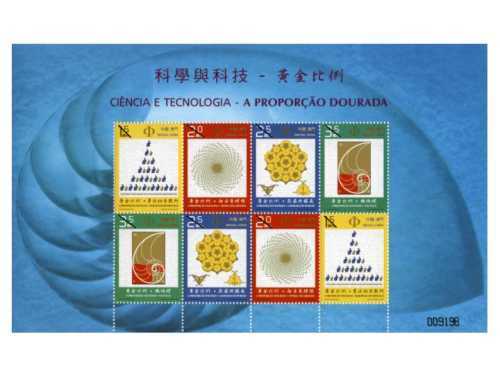 The stamp designer for this issue is Mr. Carlos Gonçalves, and the text for the information brochure is written by Eng. 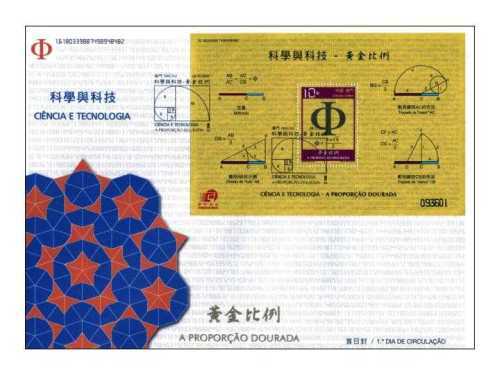 Carlos A. Roldão Lopes, the Postmaster General of Macao Post. 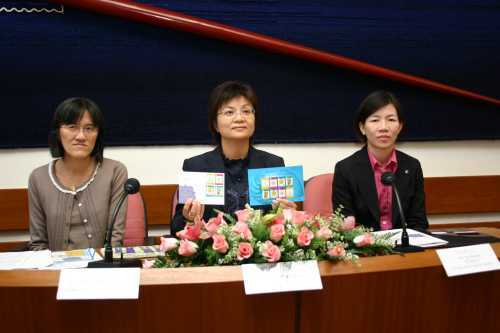 This is the tenth issue in 2007. 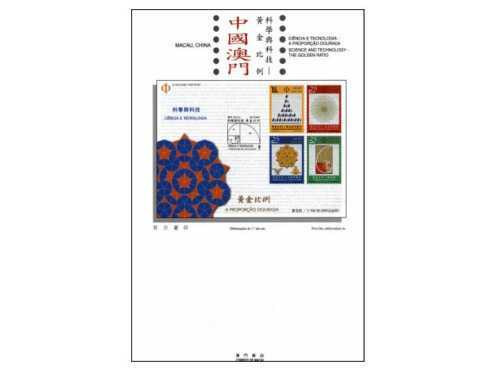 The issued stamps are as “Lunar Year of the Pig” on 08/01/2007; “Shek Wan Ceramics” on 03/02/2007; “Scenes of Daily Life in the Past IV” on 01/03/2007; “Chinese Traditional Shops II” on 08/05/2007; “Seng Yu – Idioms II” on 01/06/2007; “Literature and its Characters – A Journey to the West II” on 18/06/2007; “Centenary of the Establishment of the World Scouting Movement” on 09/07/2007; “200 Years of Robert Morrison Arrival in China” on 28/09/2007 and “Mainland Scenery” on 09/10/2007.